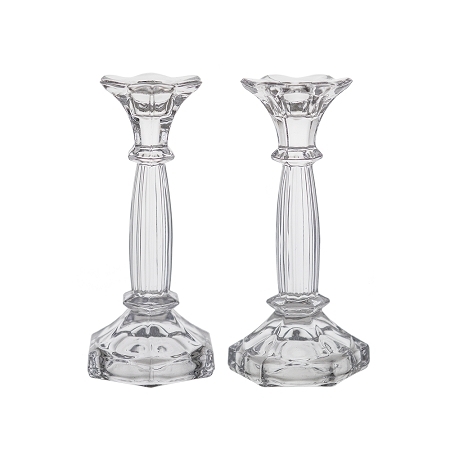 Pair of solid glass taper candle holders. 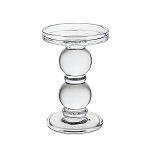 Tall glass candle holders (6.5 inches tall), made for standard sized taper candles. 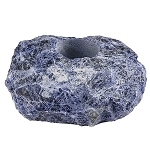 Beautiful crystal clear glass is great for creating center pieces and for weddings.